Think you've got a tough job? Try keeping an entire rebellion secret from the might of the Galactic Empire, all while trying to save face as the princess of Alderaan. Now that's tough! But she was always up to the task. And action? She never shied away from that either... whether she was jumping down the garbage chute or leading the assault on the Death Star, she did it all. We're not saying you have to face down the entire Empire by yourself or anything, all you really need is this Adult Princess Leia Costume. 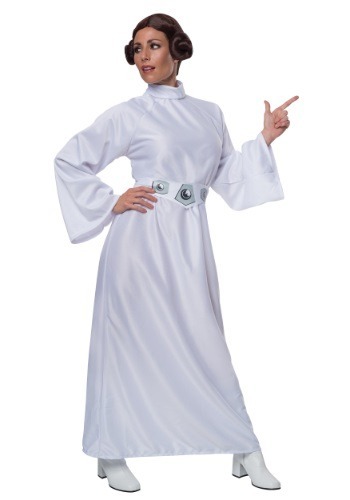 It looks just like the Star Wars heroine as seen in the first (or 4th) film: A New Hope. Now get out there and lead that rebellion to victory!